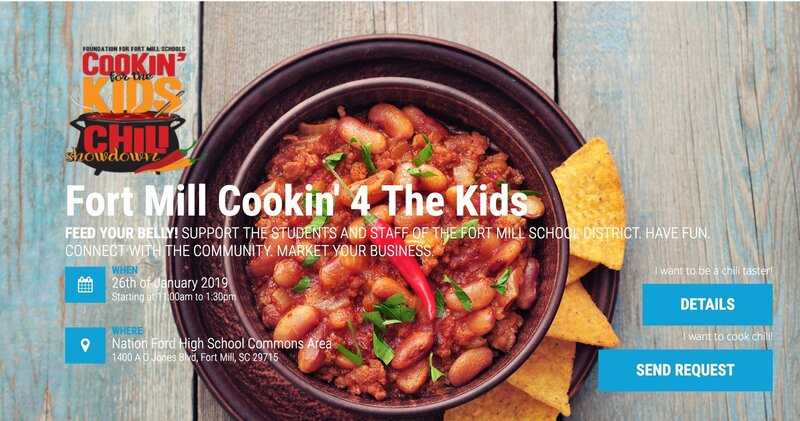 The 4th annual Foundation for Fort Mill Schools Cookin’ 4 The Kids Chili Showdown is Saturday January 26th, 2019 at Nation Ford High School. The location is different. In years past, the event was held at Fort Mill High School. Talk of the Town Carolinas host Patti Mercer interviewed the event Chairperson Donna Jackley and Foundation of Fort ill Schools Scott Patterson to find out how you can get involved either as a chili team, sponsor, or participate.